Dell 24-32 Port Switches are an ideal network connection solution for small to medium size businesses (SMBs) to upgrade their network and provide a wide array of features to help any IT Professional Get IT Done! Aventis Systems carries both the Dell PowerConnect and Dell Networking families of products offering features such as simplified management for easier deployment and reporting, energy efficient design for power savings and long term value, a low total cost of ownership, delivery of clean power to network devices with PoE + (Power Over Ethernet) support, and so much more! 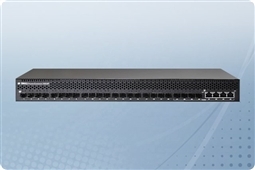 In addition, many models also come with features like Layer 3 routing support and stacking, making the Dell 24-32 Port Switches some of the most versatile and easily scalable of any of the Dell Networking hardware products. This and more makes the Dell PowerConnect and Networking families of 24-32 Port switches the perfect option for either the datacenter or the office! Aventis Systems is proud to offer our Dell 24-32 Port Switches all with a 1 Year Standard Comprehensive Warranty with upgrades available to Express Next Business Day parts replacement or Extended Warranties as well as Onsite Hardware Support. 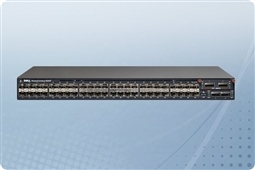 So shop our products below and bring the best in value, scalability, and versatility to your business today with the Dell 24-32 Port Switches!